This is our new shopping cart. If you have any problems, simply use the link below to go to the old site. We are still in the process of getting this cart completely ready, so not all the books are visible. We are hard at work getting everything available. Want to take 20% – 30% – how about as much as 50% off our fine products? Black Friday Sale and the upcoming Cyber Monday Sales are your ticket to big discounts. The new auction site is up and running. There are nearly 100 lot s in the auction, with new lots being added nearly every day. This auction will have the feel of both eBay and our old auction. Each lot will close on April 30th, with the first lot closing at 7:00 pm Eastern Daylight time. Each lot thereafter will close one minute later…unless there has been some action within five minutes of that lot closing. Then an additional three minutes will be tacked on the end of that lot’s closing to allow the underbidder a chance to rebid. 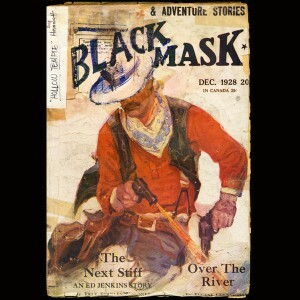 One of the lots just added includes a BLACK MASK with Dashiell Hammett. Updated the coming soon last night and this morning to schedule and present our coming publications through the end of summer. Check the menu at the top of the page to go to the Coming Soon page to see all of our changes. We are beginning to add a near complete run of Doc Savage paperbacks to our website. With multiple copies in multiple conditions, you’ll have your choice of a number of books nearly for every title. We’ve also added some new hardback books. Edgar Rice Burroughs in beautiful condition, as well as a real nice copy of the signed limited edition DREAM PARK by Larry Niven and Steven Barnes. We’ve made many changes to our website and shopping cart. Among the changes include a special wholesale section of books at 80% off. 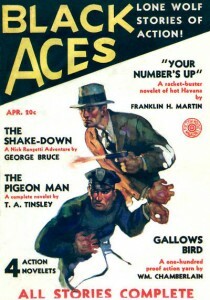 Another section of $5 and under pulp magazines. A larger section of Vintage pulps, Paperbacks, Hardbacks and more. We’ve also included a new section of E-Books, with both priced and free items available. With thousands of items now available on the website, we’ve updated the search function. You can search by title, or perhaps the date. Here are some suggestions on how to find what you are looking for. Looking for a date? Enter the date as: 02/36. Looking for a title? You could enter DIME DETECTIVE, but then you’d get every magazine with words DIME and DETECTIVE. If you enter with quotes, “DIME DETECTIVE” the search results will come back only with DIME DETECTIVE’s or books that have that name in the description. Looking for an author? Enter the last name to find everything we have on the author you seek. Of course if you are seeking all those newest books that just came in, then just check out the NEW RELEASES and you’ll find everything in order of most recent first. As I’ve been working hard to update our shopping cart, we’ve let a few things slide. We’ve not gotten anything onto eBay recently, and our newest Auction #56 is coming out nearly a month or more later than usual. To that end, we’ve decided to try to increase the number of auctions, but decrease the number of items within the auction. We are also toying with the idea of making a switch to our auction format, and perhaps work in an eBay style auction, where there will be new items listed all the time, with varying closing dates. This will all depend on the software being prepared to run this auction, and so time will tell if this will or can happen. If you have any suggestions or questions, please feel free to contact us. A new auction has been listed. Check it out by using the AUCTION menu link. Some nice high grade WILD WEST WEEKLY’s as well as CAPTAIN ZERO’s. We’ve just released the upcoming titles for February. We have our standard Phantom Detective [11/37], as well as a new Jungle Stories [Winter/52] and lastly a Double Action Gang [04/38]. CLICK HERE to check out the Coming Up page. We’ve updated the Doc Savage Doubles and a single Shadow Double to show that a few have gone OP. Luckily two of the Doc Savage Bama Variant editions are still available through the Doc Savage Multipack #3. I guess that is sort of good new/bad news. 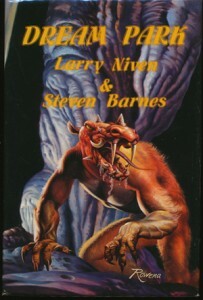 But the art prints of those lovely James Bama cover reproductions are worth it.